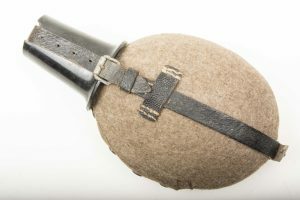 A nice coconut canteen marked HRE 41 indicating production by Heinrich Ritter, Esslingen. The canteen is in very good condition together with its matching cup. Hard to upgrade textbook coconut canteen. 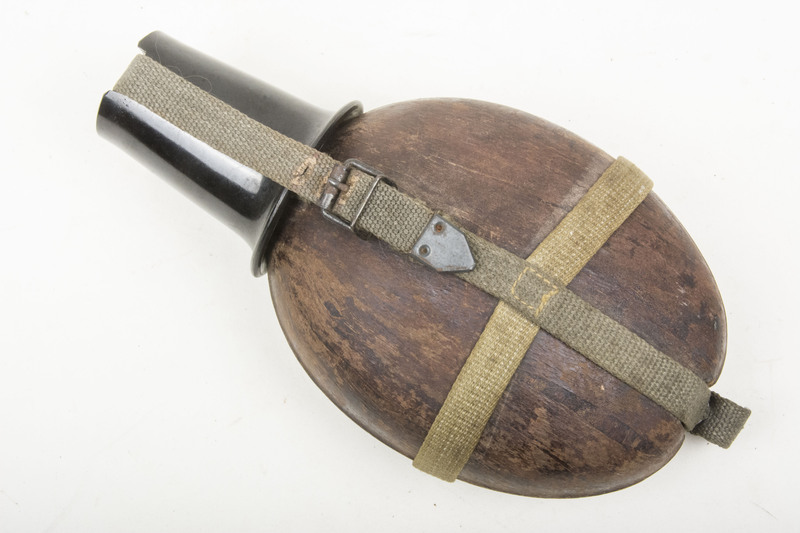 A unusual, late war canteen filling funnel. 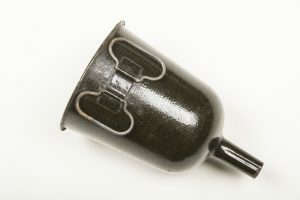 These funnels where used in field kitchens and together with the 5, 10, and 18 liter aluminium “Trinkwasser” drinking water containers to fill canteens. 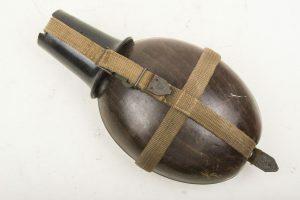 These funnels had the capacity of exactly one standard 0.8 liter canteen. They are wide enough at the top for a 5, 10 or 18 liter drinking water container to easily poor. 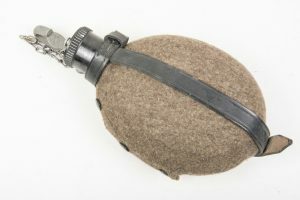 It is used by holding a finger underneath the small hole underneath the funnel and then filled to the top. 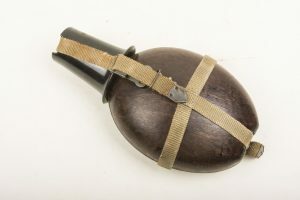 The funnel is then placed above a canteen and the finger is removed. The canteen will be filled quick and without spillage! 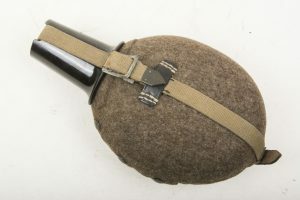 The funnel is made out of enameled steel like many of the late war canteens. A nice unusual item! A nice ESB 41 marked M31 Labeflasche in unissued condition. 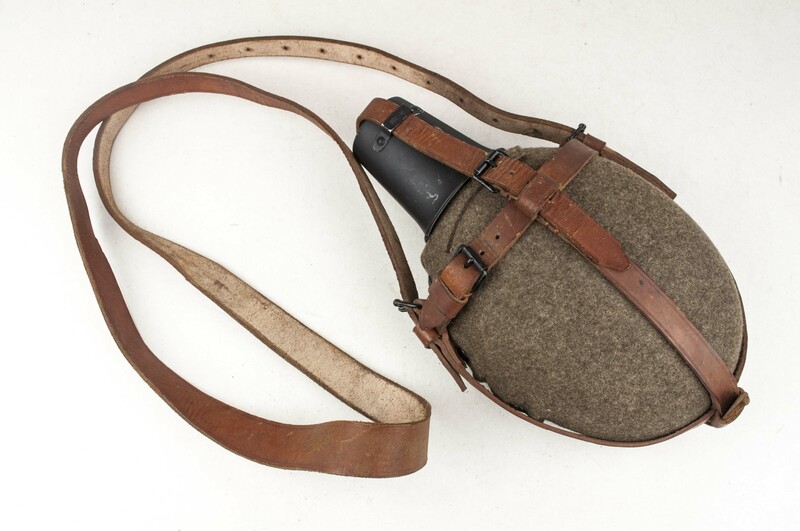 The canteen, strap and cover are nicely marked ESB 41 indicating production by Eduard Sommerfeld, Berlin. 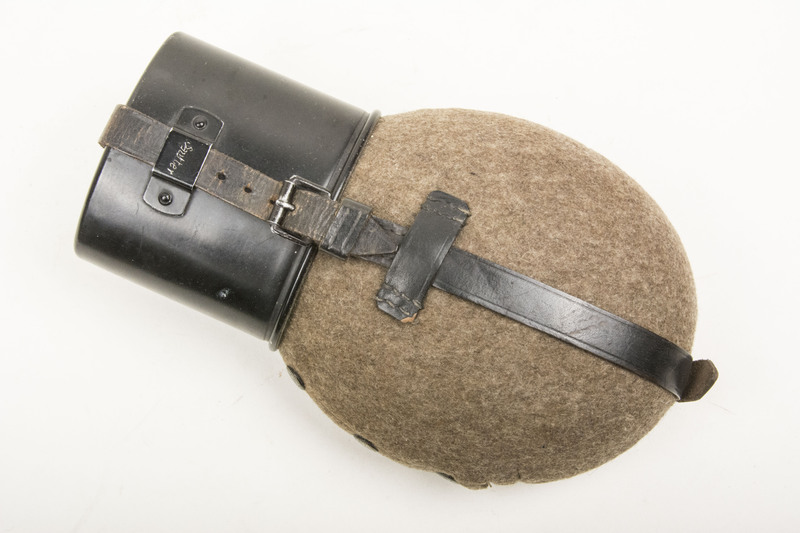 The canteen is in good unissued condition with supple leather. 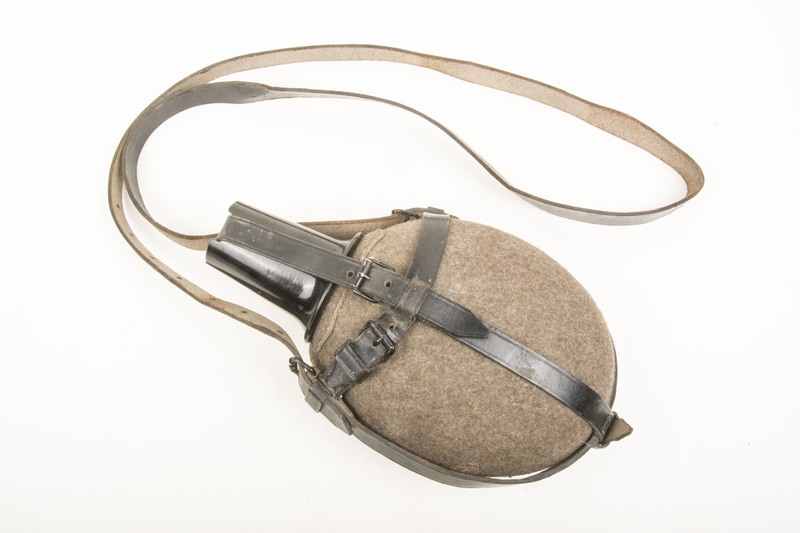 A great unissued canteen! 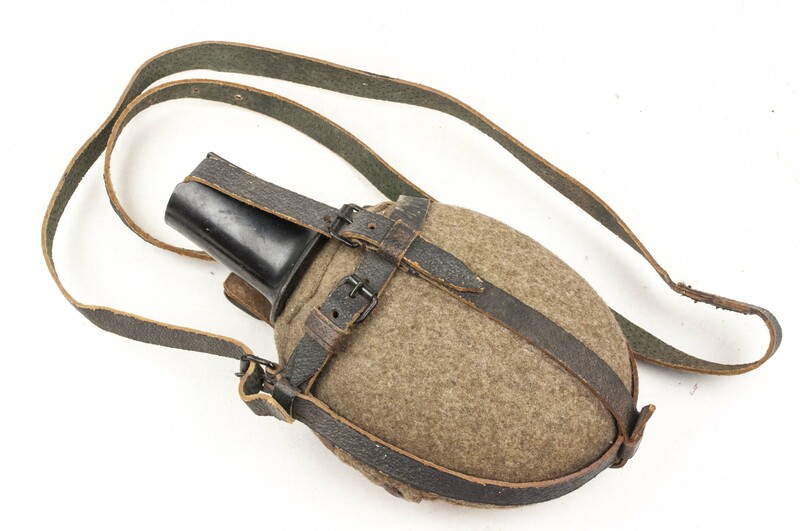 A nice HRE 40 marked M31 labeflasche in unissued condition. Its nicely marked HRE 40 on the cup indicating production by Heinrich Ritter, Esslingen. The canteen is in good unissued condition!